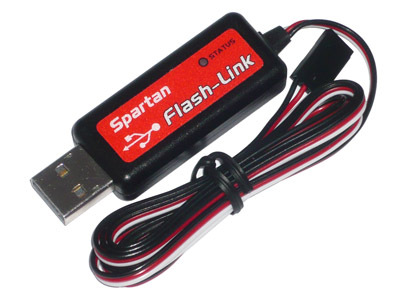 Certain Spartan products such as the Quark gyro have the ability to be connected to a computer, but due to size or other constraints they do not offer a dedicated data port. This SLX Adapter provides the required data port via intelligent sharing of other plugs. This product does not provide computer connectivity on its own. It must be used in conjunction with a Flash-Link or Blue-Link. SLX instructions leaflet - click here. Flash-Link compatibility notice - click here.